Captain Jon has been fishing aboard our World Famous boat, the “WANU” to put our clients and anglers on non-stop action. Our Spring fishing season if booking up quickly. So if you want to experience the world-renowned San Diego fishery, NOW is the time to reserve your date and trip. I look forward to seeing everyone out there with us aboard the WANU! 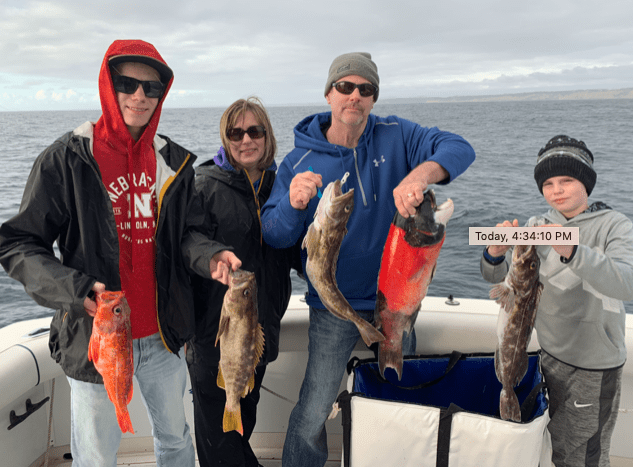 Family Trip – 3 Generations Of Fisher Folks! Captain Brian running the Swell Chaser and first mate Hale on the back deck for this morning’s trip. 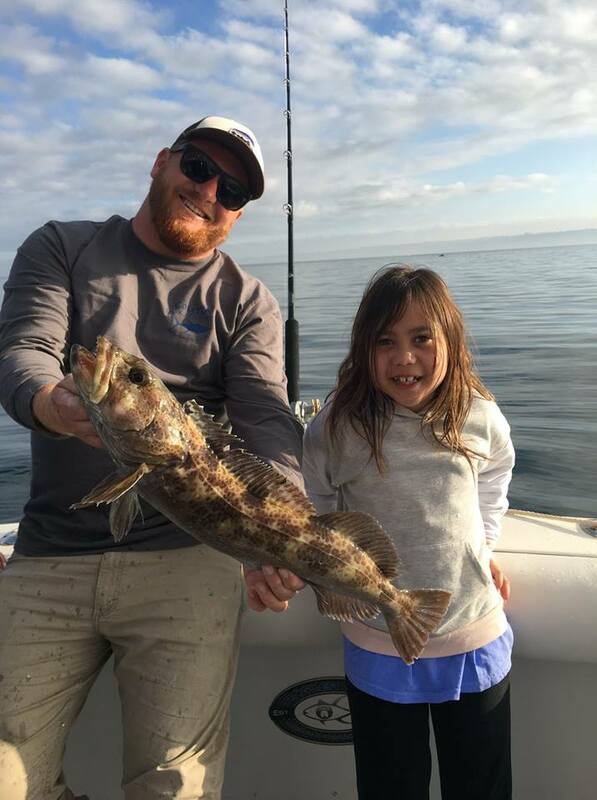 Slow fishing produced a pair of small halibut, 3 rockfish and a lingcod. All safely released. Thanks Stephen for choosing Coletta Sport Fishing for your fishing adventure. Real Nice Rock Cod Today! Captain Jon running the Wanu and first mate Hale on the back deck. Nice day on the water for a family from Kentucky. The fishing wasn’t wide open but managed a nice bag of fish. They caught 13 rockfish and 4 boccacio. Creating Lasting Family Memories One Charter At A Time! Captain Hale running the Swell Chaser and first mate Brandon on the back deck on their way back in. Beautiful afternoon half day for our family group of four from Nebraska. Steady action on the ground fish with a nice pin back shark to end the trip. They caught 2 ling cod, 1 sheephead,18 rockfish (5 released), 1 copper, 2 whitefish, 1 sand dab (released) and 1 pin back shark (released). 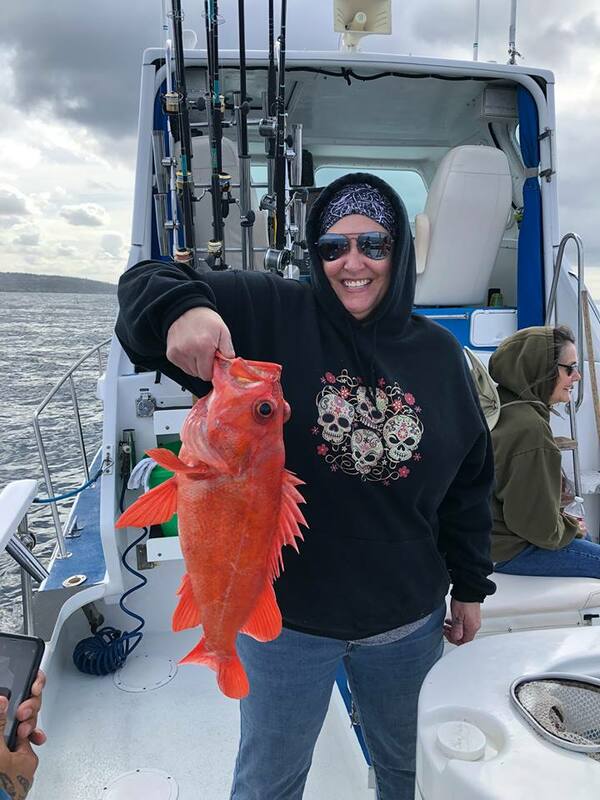 Thanks Ann for choosing Coletta Sport Fishing for your fishing adventure.